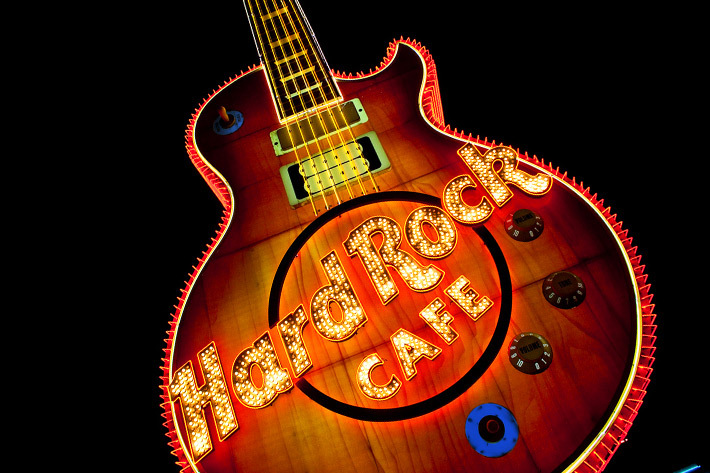 Founded in 1971 in London, Hard Rock has amassed one of the largest collections of rock and roll memorabilia in the world and has nearly 200 locations worldwide in over 50 countries. 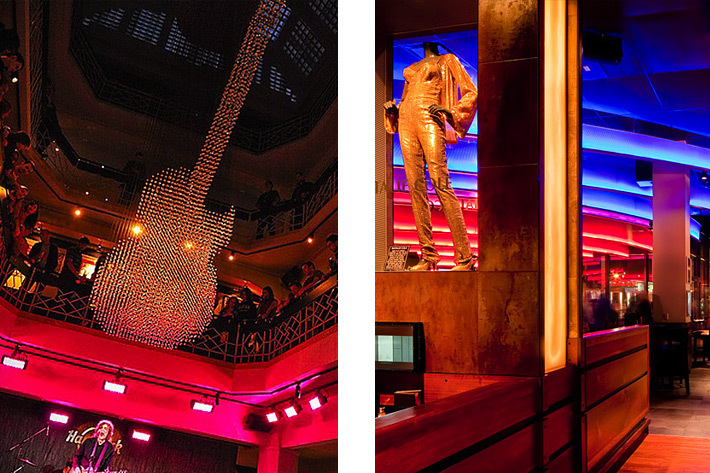 Hard Rock International and design architect Gensler employed CD+M to provide lighting design services in the remodel of nearly a dozen venues worldwide including selected sites in Waikiki, Las Vegas, Seattle and Prague, which is considered the largest Hard Rock Café in Europe. The fanciful, ethereal LED guitar chandelier which floats directly over the cocktail bar in Prague received a 2010 IESNA Special Citation Award in Lighting Design.